When do shoppers receive tracking numbers? How long will it take for an order to be shipped? Buy Now orders from Amazon are purchased and processed by Purse. Delivery time is equivalent to ordering directly on Amazon and tracking numbers are provided when available. Name Your Discount delivery time consists of fulfillment time + delivery time. Fulfillment time (time it takes for an order to be purchased on Amazon) largely depends on the discount rate. 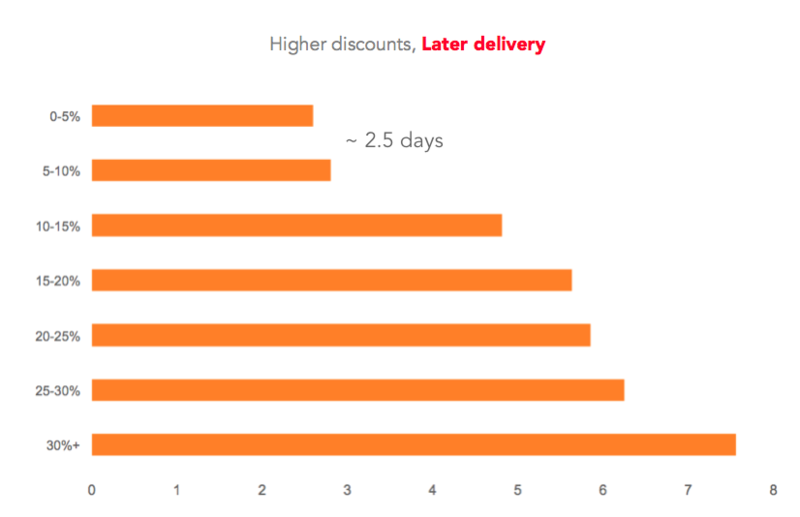 Orders with discounts less than 10% are usually fulfilled in <6 hrs and shipped with Prime. If the order is shipped via UPS, USPS, DHL, or FedEx, earners can post tracking number. But if it’s shipped by Amazon, it might not be possible to track the order. Only earners can check the order status in their Amazon account. Long shipping times can cause Earners to cancel your order. Earners avoid these items because the longer it takes to ship, the longer it takes for them to receive their bitcoin. For fastest shipping, order items that are in stock and take notice of the estimated delivery time on the item page. Earners receive bitcoin after items are delivered and confirmed. The tracking number allows us to ensure the package is en route, but it’s not enough to release funds. Shoppers must confirm physical receipt of items prior to funds being released. Please allow time for the Shopper to confirm delivery. Premature messages to support will not expedite the process. Support monitors all transactions, and will manually release escrow using tracking information, only if the Shopper is unresponsive. All Earners are required to provide tracking information or a Amazon Tracking URL to help prove item delivery. If tracking information or Amazon Tracking URL is not provided, the order may be subject to cancellation. Earners have an expectation of promptness when completing orders. Unresponsive Earners who cannot assist with mediation of order issues may be subject to cancellation as well. All Earners must provide a copy of the official Amazon purchase invoice if requested by support, there are no exceptions.